Generic, Behavioural, Disability and Medical, Case Notes and Injury recording systems. Ability to upload multiple documents. Built-in auditing and traceability functions. 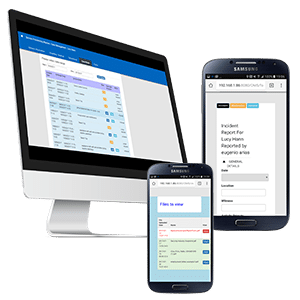 A comprehensive module comprising of Generic, Behavioural, Disability and Medical, Case Notes and Injury recording systems, with the ability to upload multiple documents for record keeping. With built in auditing and traceability functions, it provides full access to edited file history including previous stamped copies for proper document governance. The system provides three levels of document access for the field support staff including “Unavailable”, “Visible” and “Compulsory View”, ensuring proper access to client care information when delivering supports.